HomeCOMMENTARYUS billionaires could destroy the Israel Lobby, but they won’t. 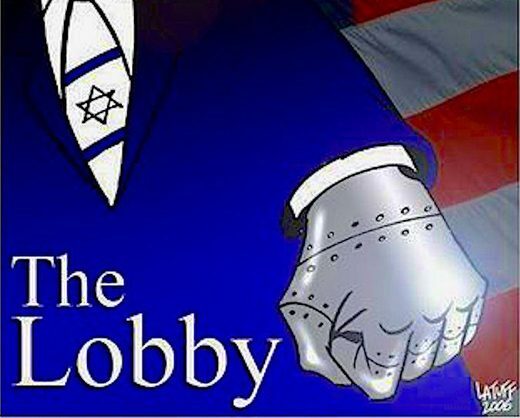 Fact: U.S. billionaires (even just one or two) could, if they wished, totally destroy the power of the Israel Lobby in a few months. All they would have to do is form an independent media network (as Oprah Winfrey, worth “only” $3.1 billion created OWN) and use it to tell the United States public the sordid truth about Israel’s ruling class. The truth is not only that the Israeli ruling class of billionaires and generals and politicians carries out violent, racist and morally completely unjustifiable ethnic cleansing against non-Jews (the Palestinians) as discussed here, but also–something that would surprise most Americans even more–that this Jewish Israeli ruling class has a shameful history of betraying ordinary Jews and demonstrating nothing but contempt for them. Read here how the Israeli ruling class is oppressing ordinary Jews today. I have created here a document, with referenced sources, listing some of the ways that Israeli rulers have betrayed ordinary Jews from the days of the Nazi Holocaust to recent times. If the American public knew the facts in this document they would be appalled. I have personally experienced that even pro-Israel Jews would be appalled, so much so that they change from viewing people like myself as anti-Semites to viewing us as well-intentioned bearers of the truth. I experienced this when a Jewish colleague of mine at work declared that I was “close to Hitler” when he saw me collecting signatures supporting the Right of Return of Palestinian refugees to their homeland inside the 78% of Palestine now called Israel. When I began recounting to him the facts about how Israel’s leaders had betrayed ordinary Jews, he was stunned, and then became very friendly towards me–no longer viewing me as anti-Semitic but rather as both pro-ordinary Jew and pro-Palestinian. 5. How Israel’s leaders allied with and helped Argentina’s fascist rulers murder 3,000 Argentinian Jews; and the list goes on and on through more recent years. A billionaire could hire talented film directors and authors, etc., to create T.V. documentaries and films and books to tell the public the truth about Israel’s ruling elite, and do it with the persuasive power of, for example, the eloquent T.V. documentary, Roots, or the masterful film Schindler’s List or the deceitful novel, Exodus: there’s plenty of talent to let the public know the sordid truth about the Israeli ruling class; the problem is that nobody with the big bucks hires them to do it. The Big Money goes to those who produce what Big Money wants produced. If a billionaire told the American public the truth about the Israeli ruling class’s contempt for, and betrayal of, ordinary Jews (as well as its horrible ethnic cleansing of Palestinians), the result would be a sea change in how Americans viewed the Israeli government. The Israel Lobby would have as much influence on who got elected to Congress as the Church of Satan! The pro-Israel U.S. foreign policy would be viewed by the American public the same way it came to view the pro-South African Apartheid foreign policy–disgusting! The Israel Lobby would be dead in the water in about three months. Why Don’t Any Billionaires Destroy the Israel Lobby? What Is NOT the Reason? Please stop for a second and consider the absurdity of this “explanation.” According to this “explanation,” people like myself and many other similar people–people who are not independently wealthy and who depend for our living on keeping our jobs, and who lack the financial means to effectively publicly refute a campaign to smear us as anti-Semitic–we are able to publicly oppose (with our meager resources) Israel’s ethnic cleansing of Palestinians. But according to this same “explanation,” billionaires–who ARE independently wealth and thus have total economic security plus the means to publicly refute a slander campaign against them–are supposedly too frightened to speak the truth. According to this “explanation,” billionaires (the non-Jewish ones at least) prefer to yield to the Israel Lobby and let it force them (i.e. the actual U.S. rulers) to go against their own self-interest by supporting Israel. Really? Does this make any sense at all? This crazy “theory” has a name among its advocates: “Tail wags dog” (the Israeli tail wags the U.S. dog.) But as everybody knows, in real life tails don’t wag dogs. So why do people opposed to Israel think they do? There are two reasons that come to mind. One reason is that pro-Israel (often Jewish) people are heavily represented in the foreign-policy-making part of the Executive branch of the government, there are virtually no opponents of Israel in Congress, and the Israel Lobby works hard to make sure this remains so. Also, American presidents and would-be presidents all attend and speak at the Israel Lobby’s main organization, AIPAC. The “tail-wags-dog”-ers point this out (often saying that “Congress is Israeli-occupied territory”) to make their case. I will shortly address what’s wrong with their logic on this point, how they have reversed cause and effect. The reason no billionaires destroy the Israel Lobby, even though they easily could, is because they don’t want to; they have no self-interested reason for doing it. On the contrary, the billionaires benefit enormously from Israel’s ethnic cleansing of Palestinians. Why? The American upper/ruling class has been controlling Americans with Orwellian wars of social control for a very long time. It began with the Native Americans made to be the bogeyman enemy. The European colonialist upper class rulers did this by deciding to ethnicly cleanse the Native Americans instead of treating them as the sovereign nations in North America that they actually were, the way reasonable visitors from abroad would normally treat a nation they were visiting or even wishing immigrate to. Ordinary Europeans arriving in North America, on the contrary, when not under the control of their upper class rulers, frequently “went native” with no intention of carrying out ethnic cleansing, as I discuss here. Some of us living today remember the recent bogeyman enemy–Communists. I say “bogeyman” because the fact is that the American ruling class secretly provided enormous amounts of industrial and military technology and equipment to the Soviet Union from the beginning of the Bolshevik revolution straight through the Cold War, as I discuss here. The U.S. ruling class needed a bogeyman enemy to make Americans accept (grudgingly) a military-industrial complex, sucking social wealth away from things like better schools and hospitals, and depositing it instead into the pockets of the major owners of weapons manufacturers. U.S. rulers also need a bogeyman enemy to use as a pretext for invading nations and/or overthrowing their rulers whenever Big Money desired. And as we know, President G.W. Bush, acting on behalf of the American ruling class, gave the honor of being the new bogeyman enemy to Muslims, declaring Muslim Terrorism to be the enemy of the new all-encompassing War on Terror–an Orwellian war of social control if ever there was one! Long before the War on Terror, the Israeli ruling class used the bogeyman enemy of Palestinian terrorism to control its Jewish population. But the anti-democratic Arab/Muslim rulers of the Middle East also benefited from Israel’s ethnic cleansing of Palestinians. How? That ethnic cleansing polarized the region along non-class lines: Israel (Jewish) versus anti-Israel (Muslim/Arab). Without this polarization, the Middle Eastern rulers feared that the polarization would revert to the one reflecting the actual conflict inside the Middle Eastern nations, namely between ordinary people versus the rich ruling elites who oppressed them. This had to be avoided because it could lead to democratic revolutions. The U.S. rulers shared the same fear, because they had cozy oil (etc.) deals with the Middle Eastern elites and didn’t want popular democratic movements to turn the tables and cause the natural resources of the region to be used to benefit ordinary people instead of the likes of the Saudi Royal family and American Big Oil companies. Indeed, the Arab rulers even wanted the United States to make sure that Israel was militarily armed to the teeth and clearly undefeatable. Why? Because this gave the Arab rulers the perfect situation for control of their own populations: on the one hand they could rhetorically denounce Israel and pose as champions of the Palestinians to gain support from their own people, while on the other hand they could point to the overwhelming military strength of Israel as the perfect excuse for not actually waging a serious war against Israel to end its ethnic cleansing of Palestinians. I discuss how this played out in Saudi Arabia here. Now that the War on Terror is the #1 strategy of social control for the United States ruling class, it is a no-brainer for the American billionaires (at least for their smart advisors) to keep Israel in business using ethnic cleansing of Palestinians to make sure Muslims/Arabs remain the credible, scary, angry and sometimes violent bogeymen enemy that the War on Terror requires. The War on Terror needs an enemy that can make credible the Big Lie that Muslims in general are irrationally anti-Semitic and hate Israel (and its U.S. gallant defender) and want to kill us all because they hate our freedom (or some such nonsense). Israel does the job! The U.S. foreign policy of supporting Israel is thus a policy that enormously benefits the American ruling class–Jewish and non-Jewish alike. Obviously, the people who have not only a real-politic reason for supporting Israel but also an emotional and sentimental one, i.e., who are the most eager to get involved in implementing U.S. support for Israel, are the Ameican Jews (who often have Israeli citizenship also) aiming to rise up in the American social hierarchy. THIS is why there are so many Jews in the Executive branch of government dealing with the U.S. Middle East foreign policy. The ruling class’s need for supporting Israel is the CAUSE, and the prevalence of Jews in implementing that policy is the EFFECT, not the other way around as the “tail-wags-dog”-ers mistakenly believe. Likewise, the reason the Israel Lobby is powerful and has so much support from American politicians is because the American ruling class WANTS it to be powerful; it uses the Lobby to punish any aspiring politician who might wander off the approved path and say something critical about Israel’s ethnic cleansing. The fact that the entire U.S. ruling class wants Congress to be pro-Israel is the CAUSE, and the fact that virtually all its members are pro-Israel is the EFFECT, not the other way around. As shown above, if any billionaires wanted to destroy the Israel Lobby they could, and would, Congress be damned! They simply don’t want to. They have no reason to. The Lobby is doing their bidding. And Congress is just the way they like it. The fact that not a single American billionaire has lifted a finger (“barked”) to destroy the Israel Lobby–even though they could easily do so by just telling the public the sordid truth about Israel’s ruling class–is the dog that didn’t bark (the meaning of which is discussed here if you don’t already know it.) There is no way that the “tail-wags-dog” theory can persuasively explain this dog not barking. The failure of this dog to bark proves that the “tail wags dog” theory is false. I challenge any advocate of “tail wags dog” to come up with a half-way plausible explanation for why no American billionaire uses their ability to destroy the Israel Lobby when they are supposedly being “wagged” by it against their will. Why Do People Like the “Tail Wags Dog” Theory? I think some people like the tail-wags-dog theory because, unlike the truth, it is comforting. Here’s what I mean. The truth is non-comforting because it means that the problem is the entire American ruling class (Jewish or not), rather than just a foreign lobby. The tail-wags-dog theory says that the non-Jewish billionaires of the United States are harmed by U.S. support for Israel’s ethnic cleansing of Palestinians and are thus at least potential allies in our effort to end U.S. support of it. That’s a comforting thought; so comforting that it induces a willingness to believe that a tail can wag a dog. The fact is, however, that the entire ruling class CAN be removed from power. That’s what my books are about. If we really want to help the Palestinians abolish the ethnic cleansing project they suffer under, the best thing Americans can do is to build a movement that aims to remove the American ruling plutocracy (all of it!) from power. Such a movement is strengthened by explaining to Americans how the plutocracy’s support for Israel has nothing to do with any concern for ordinary Jews or coercion by the Israel Lobby, and everything to do with controlling and oppressing ordinary Americans and ordinary people in the Middle East. Comment: The above is one theory (which will stay a theory) until something constructive (or deconstructive) is done to redirect the course of Western countries into a rebalancing of power and removal of elitist/pathological controls.